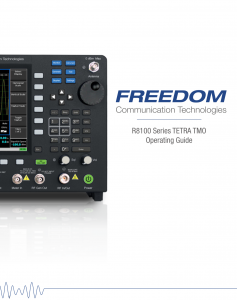 Freedom’s TETRA Trunked Mode Operation (R8-TETRA_TMO) test option provides the industry’s only comprehensive TETRA test capability in a fully portable analyzer. 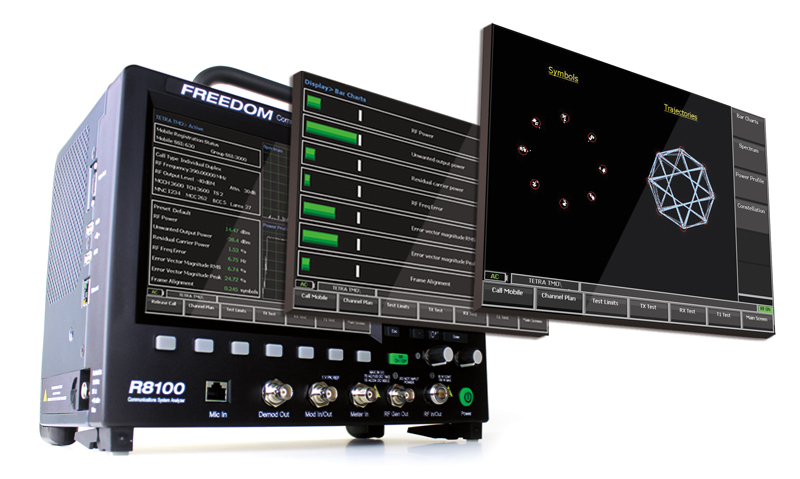 Full screen spectrum analyzer, constellation diagram and power profile displays facilitate signal quality analysis. Color-coded test results allow instant pass/fail analysis using either the default ETSI standards or user-defined test limits. The TETRA Base Station options -TETRA Monitoring ( R8-TETRA_BSM) and TETRA Base Station T1 Test (R8-TETRA_BST1) – provide for the test and monitoring of all major parameters of a typical TETRA installation. Both options conduct full transmitter parametric measurements, either by direct connect or OTA antenna connection. 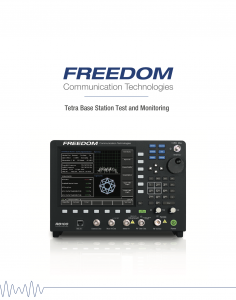 The TETRA Base Station T1 Test option has additional transmitter and receiver T1 measurements for BER/MER.